In this section we'll try to keep you up to date on things that are happening. Two of our transplant nurses - Jen and Lyndsey - Are volunteers for their local running club. The “ OSSY JOGGERS “. Last year they invited runners to attend for BP checks, Kidney Health Advice and handed out bottles of water to encourage hydration. They then completed a 5k mixed ability run which, when completed, if you looked on your strava (run tracking app) looked like the route was in the shape of a kidney. This year they plan to do the same advice and BP checks but also will do blood sugar checks as well. A couple of doctors have said they will join them on the night . Fiona and Wendy will also be there and they are hoping that others member of the renal team will also attend. “We had heard a little bit about “the little yellow duck project” and thought it was a lovely way to promote organ donation. Each duck represents a random act of kindness, triggering thoughts around blood, organ and bone marrow donation. We are asking anyone and everyone if they can help make the ducks . 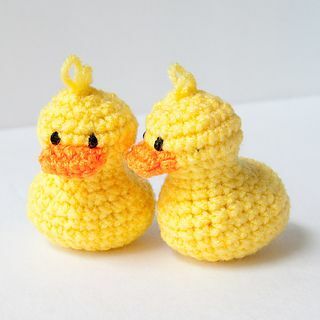 (patterns available on the website – google the little yellow duck project) – We are hoping to get enough ducks together for two events. Firstly, everyone involved in the run will take a duck with them and leave it either on their run or take it away with them and leave it at another location (work, holidays etc.) Secondly, the remaining ducks will be left in the hospital grounds on the 14 th March. We have some rubber ducks and we are working with the play specialist on the children’s ward to involve the children and their families. Each duck will have a tag on it – the tag will give the finder information about the project and direct them to the website to register the duck. This will then go on the world map.